I better continue the introductions of our Voyageur Crew 2014 before they depart. We currently have three Voyageur Crew members from Owatonna, Minnesota which is also the hometown of Don Enzenauer who we bought Voyageur from over 20 years ago. 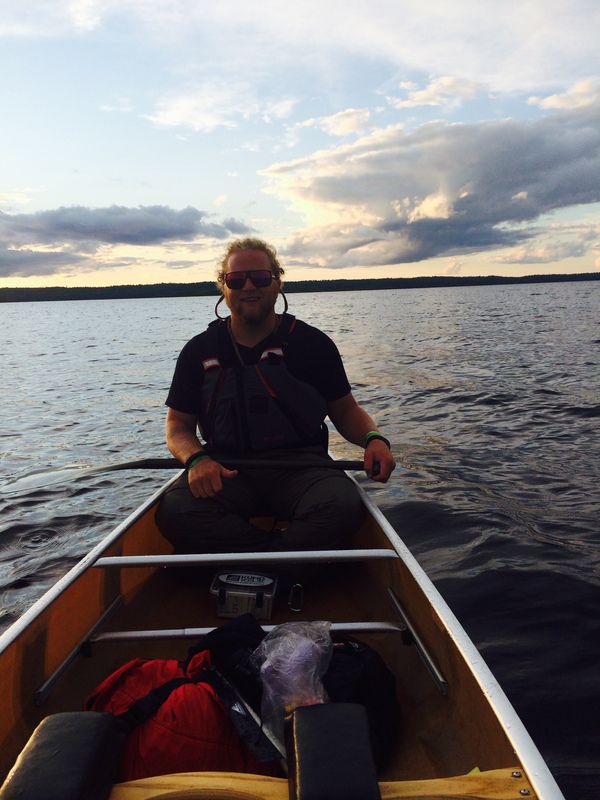 Matt Ritter is a 2nd year Crew Member who just graduated from Lake Superior College this spring. He majored in Automotive Service Technology and has a job in that field beginning mid-September. We’ll be sad to see him go and even sadder knowing he most likely has entered the real world and he won’t be returning to Voyageur next summer. We can’t be sure he won’t be back since what he really wants to be when he grows up is an inspiration to this planet. I think there’s a better chance of doing that at Voyageur then there is working on vehicles, but you never know. Matt can perform all of the jobs at Voyageur and believe me, we’ve had him do them all. He transports groups via towboat, drives them in vehicles, cleans cabins, cleans gear, works in the store, cooks and does KP but he most enjoys building and fixing things. He’s done quite a few projects this year and they all turned out awesome. We’re going to miss his handy work around here. You may remember Matt from the blog I wrote about the Ely Challenge. He was the paddling partner of Abigail who paddled to Ely and back in less than 24 hours. He also was a fierce competitor at the annual canoe races; we’ll have to ask him back at least to paddle for that next summer. 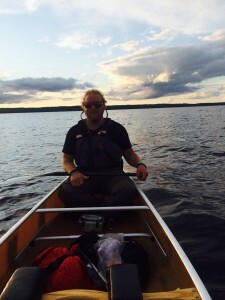 His favorite lake in the BWCA is Red Rock Lake and his favorite route includes Ottertrack. He most wants to paddle the Falls Chain in the Quetico Park. I guess we know he’ll at least return to paddle again. I guess I’ll have to introduce the other two Owatonna crew members in a different blog since this one got quite long.